While many important details were missing, what was revealed could be a big boon to many of the wealthiest Americas, and even President Trump himself. At least one thing will undercut that boon: Trump's plan also eliminates a lot of the tax breaks and loopholes that benefit the wealthy. But unless the White House rolls out more measures that would raise the tax liability for the top 0.1%, it's hard to see how many in that group might not do better under Trump's plan than under today's tax code. That's because he wants to slash or eliminate many of the taxes that disproportionately hit the wealthy. 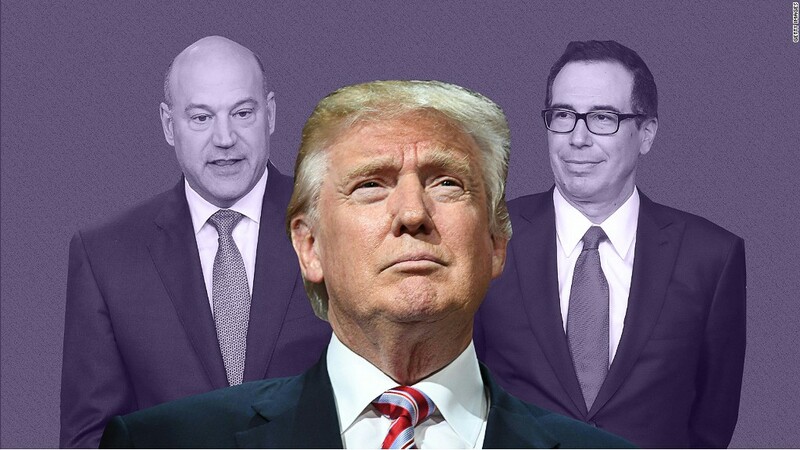 If Trump's plan were implemented, "it could exacerbate inequality," said Steven Rosenthal, a senior fellow at the Tax Policy Center. As for how Trump himself might fare, there's reason to believe he may do as well, if not better, under his own proposals. Owners, partners and shareholders of so-called pass-through entities pay taxes for their businesses on their individual tax returns at a top tax rate of 39.6%. Trump would cut that down to just 15%. Pass-throughs run the gamut from mom-and-pop shops to big law firms to hedge funds. Most, if not all, of Trump's hundreds of businesses are considered pass-throughs. Such a big disparity between business and ordinary income rates worries policy experts. Why? Owners of pass-throughs may be tempted to recharacterize their paychecks as employees of their company into business income to get the lower tax rate. Or for the wealthy to create pass-throughs for the tax advantage. It just takes a good tax lawyer. Treasury Secretary Steven Mnuchin said Wednesday "we'll make sure there are rules in place" to prevent the wealthy from gaming the system. Trump would get rid of the 3.8% Medicare surtax that applies to a portion of one's investment income from capital gains, dividends, interest, rental income and annuities. But the surtax only applies to those who make more than $200,000 if single or $250,000 if married filing jointly. And it's added to the 20% capital gains and dividend rate that high-income households pay. Mnuchin said "restoring the 20% capital gains rate is critical to investment in this country." But whatever the stated purpose, getting rid of the 3.8% surtax is, in fact, "targeted relief for the rich," Rosenthal said. The AMT is a parallel tax that you have to calculate after figuring out one's regular federal income tax. A key difference between the two is that the AMT disallows a lot of the tax breaks you can take under the regular system. While it nabs middle class families who have a lot of children and live in high-tax states, the AMT is primarily intended to hit higher income filers. Though Trump refuses to release any recent tax returns, information from his 2005 return indicates that he paid nearly $37 million in federal income taxes that year. But for the AMT, he would have only paid about $5.3 million. The current estate tax only applies to estates over $5.5 million. As such, it only affects about 0.2% of all estates in any given year, according to the Tax Policy Center.